I recently attended the second meeting of the Greater Grampians Roundtable of which I am a member representing climbers and recreational users. 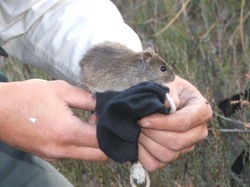 As noted in a previous Argus, the GGR is an opportunity for various stakeholders who use, live and work in the Grampians to have an open conversation with the DSE and PV on a variety of land management issues. This focuses predominantly on Fire operations/planned burns etc in the park but does and will encompass more land management practices as time goes on. Whilst our discussions and feedback have no bearing on the actual plans themselves, they do impact on the processes in which these plans are implemented. Hopefully as time goes on, the community/communities will have a better understanding on what’s going on and when and also a better understanding of the complex process that is involved, through us as representatives. To be perfectly honest, my knowledge and understanding of the fire operations and practices was pretty limited to the basic. What I need to know for my immediate safety, impacts to the areas I climb at and parks I visit. I would imagine that I am not alone with this level of understanding. 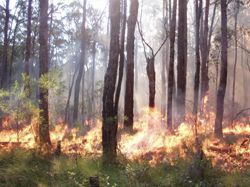 Following the Black Saturday fires, the 5% burn target across Victoria was imposed by the Victorian Royal Commission on Bushfires. While there might be some people who agree with this target, it never sat completely right with me. We’re dealing with a natural environment that constantly changes and a blanket 5% allows no kind of flexibility. How do you decide what to burn when you have a set end target rather than just areas which look like they have a build up of fuel and are due for a burn off. Well, personally – I still don’t agree with the 5% burn target as don’t most of the people I often speak to. And if Neil Comrie’s recent report (Bushfire Royal Commission Implementation Monitor) – he was charged with monitoring the State governments response to the Black Saturday royal commission, is anything to go by, this target might hopefully be coming up for review soon. The 5% target is a very crude plan of some averaging out of figures – What does need to happen now is some more intelligent discussion and specifics put in place rather than blanket 5% burn target of public land. What I do have now though is a much better understanding of the complexities of the planning and am heartened in many ways, that many of the people that are having to implement these measures on the ground to reach these targets that have to be met, are at least trying to tackle this head on. By their own admissions, this has and continues to be a tough gig but on a positive note, for them, it has meant that they have needed to be a lot more creative and a lot more thoughtful than just deciding to pick an area and burn it off. In years gone by, this approach was often taken and in State and National parks where so many values are at stake, this is not a sustainable practice. From town assets to ecological values, cultural heritage, income and recreational impacts it is a veritable mine field to manoeuvre around to ensure that areas targeted are burnt responsibly. Part of my role as a representative is to deliver information out to ‘members’ of my stakeholder group this being recreational users which of course includes the climbing community. Trying to put the amount of information I receive out there could very well be overload but I think it’s really important for all concerned to have a better understanding of how it works. I will have a special section on the CliffCare website https://cliffcare.org.au/grampians/greater-grampians-roundtable-and-planned-burns-program/ that is dedicated to this as well as further links and downloads should you wish to read the various documents that are involved and hope that should you have any questions you will comment and ask away. Besides the background processes, I will be highlighting any immediate issues which directly affect climbers such as planned burns around climbing areas. Always take note of these – they can help with future planning of climbing trips and for those that prefer the very remote cliffs, can be a life saver. Do be aware though, that dates are flexible. Planned burns need to take into account weather windows as well as other outside influences. Sudden burn changes have happened in the past with very little notice – I will endeavour to get this information out and online as soon as I have it but if you haven’t subscribed to the CliffCare blog site it will be dependant on you checking it yourself. This is a great reason to sign up to receive updates on the blog as they come in. I am hoping to also put a newsletter sign up in the very near future which will also go a long way to getting information out there. Take a little time to acquaint yourself with the ins and outs of the planned burns program – though it may seem dry and maybe not as exciting as a new route or new climbing area, it does mean that having more information at your fingertips means a more informed understanding of the bigger picture and our place in it as well as other user groups. You really do need to understand the nature of the beast before you can begin to try and change it. 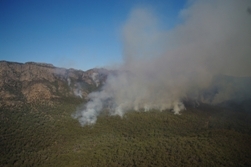 You should also visit the GGR and Planned Burns page on the CliffCare site here https://cliffcare.org.au/grampians/greater-grampians-roundtable-and-planned-burns-program/ More info and handy draft documents on the FOP. 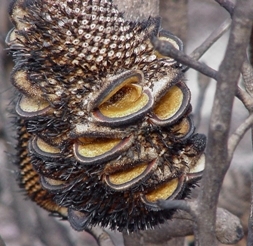 This entry was posted in Access &Environment officer reports, Grampians, Grampians Roundtable, Planned burns and tagged DSE, grampians, grampians roundtable, parks victoria, Planned burns by Tracey. Bookmark the permalink.